Divine Justice is the Intention of Tone 8. As the Highest Intention of the Creator, Tone represents the Sun’s zenith position of Light. Tone 8 begins the phase of a Divine Transformation. The Divine Perspective of the Day Sign is Illuminated in the Truth of Full Light. Every transformation is built upon the Higher Ground of our last Ascension. We Ascended from the trecena of Serpent/CHICCHAN to experience the Truth of our Gifts of Knowing through a Human experience. Today we will seat a Higher Truth. 8 Serpent/CHICCHAN is a Holy Day observed by the K’iche Maya as “Serpentine Day,” a day that honors the Strength of Spirit and Force of Life. The Serpent is a catalyst that ignites our “Supernatural Senses.” As the Sign of “lightning in the blood,” our phase of Transformation begins with a new Spark of Knowing. Like the Dragon Energy in the Seed, CHICCHAN can make our Unseen Power Known throughout our Whole Self as the Life Force itself. Our Gifts hold experiences that are common to us, until we are Conscious to Feel and Know them. This is only the beginning of a New Consciousness of Power. Tone 8 holds the Peak Energy of Transformation. 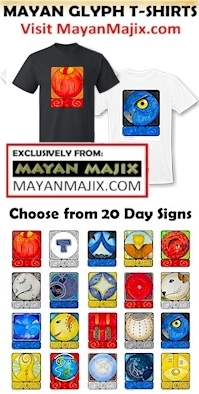 8 is the number of “pure spirit.” The Mayan 13-count of creation relates to the hours of Solar Light. In the 8th Hour of Light the Sun resides in its zenith. Today, Serpent/CHICCHAN is positioned in it’s zenith Position of Power. Our Phase of Transformation is directed by a Divine Agency. In a Sacred Exchange of Reciprocity, the effort we invested will be matched by an equal effort of Divine Power. Our Intention was to Create the Seed for our Harvest that starts out from Higher Ground. We’ve been taking inventory of Truth, the Divine Meaning and Purpose of our Gifts. Through Divine Intervention we’ll see the Truth of Power that will Transform us.